It is going good for Tata Motors this year as the company has posted good sales helping it to become the 4th largest car manufacturer in the country. In the month of October 2016, Tata Tiago has managed to register a total sales of 6,108 units. The sales of Tiago has helped Tata Motors to create a new milestone. From past 3 years, No single car in Tata Motors had posted a monthly sales figure exceeding 6000 units. Tiago has broken this record and has given a new dimension to Tata Motors’ sales chart. The Average monthly sales performance of 4,500 units from Tiago has helped Tata to displace Honda Car India from the 4th position as largest car manufacturer. The only other time Tata Motors posted sales more than 6000 units was on January 2013 ( 3 years ago) and it was because of combination of old Indica and Vista that accounted for 7,321 unit sales. Tiago from Tata Motors has gotten over 20,000 bookings and the company has now sorted out demand-supply mismatch of petrol variants of their car. The sales trend is expected to continue in the similar fashion for coming months too. In the month of October 2016, Tata Motors registered sales of 16,311 units when compared to Honda Car India’s 15,567 sales units. 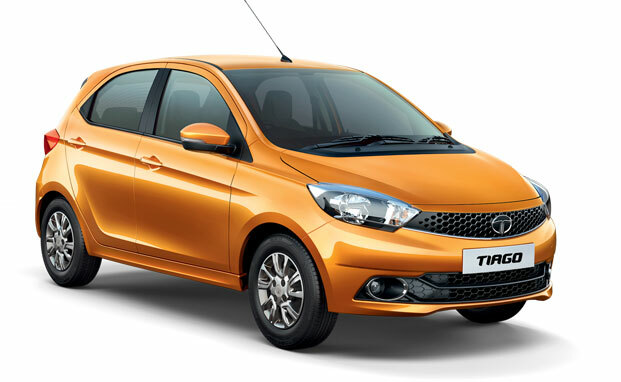 Tata Motors wants the same momentum to be carried and is introducing the sedan version of Tiago ( Kite 5). What stands apart is Tata Tiago’s fresh design, new powertrain, superior interiors and aggressive pricing. Tata Tiago takes on its rivals like Maruti Celerio and Hyundai Grand i10. You can follow us on Facebook, Twitter or Youtube and keep yourself updated with all the automobile news happening in the country.